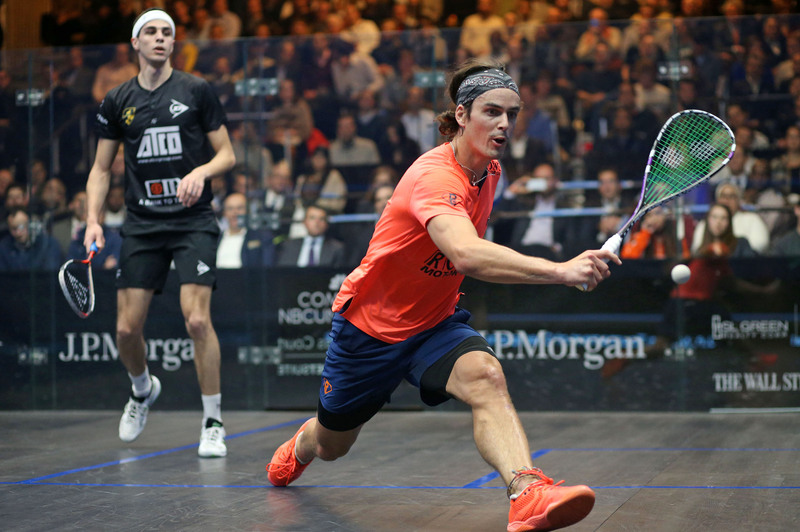 New Zealand’s Paul Coll has risen to a career-high ranking of World No.6 after the PSA Men’s World Rankings for February were released today (February 1). Coll, the highest ranked Kiwi male since Ross Norman in 1993, reached the quarter-finals of the J.P. Morgan Tournament of Champions at New York’s Grand Central Terminal in January. As a result, the 26-year-old has risen one place to overtake Colombia’s Miguel Angel Rodriguez, who moves down to No.7. Coll’s legendary fitness has been embellished by continuing improvements in tactical awareness and high-quality racket skills. 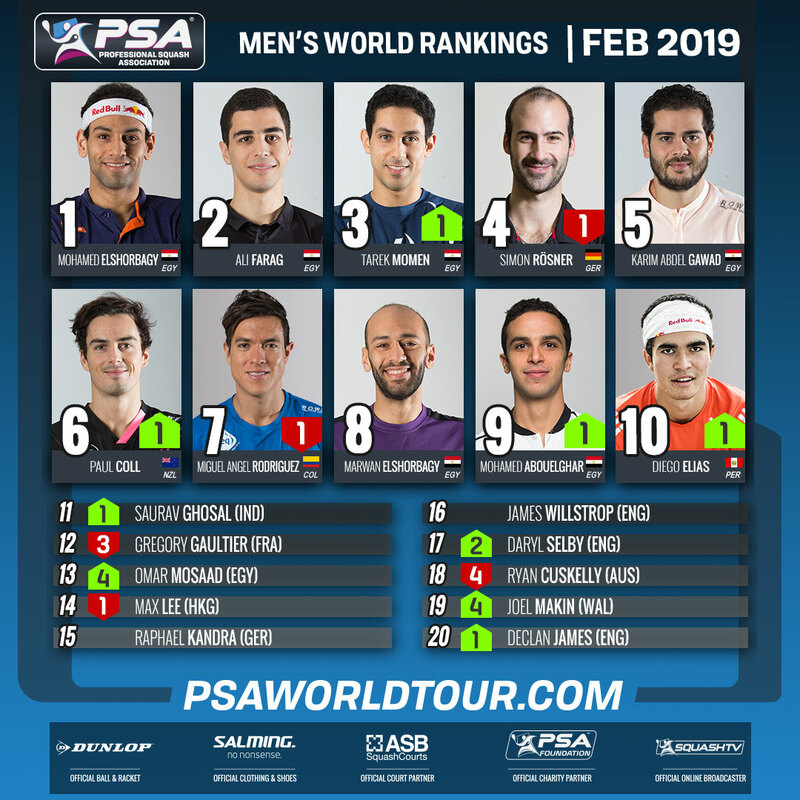 PSA Men’s World Rankings Top 20 – February 2019. Article by SEAN REUTHE (PSA PR and Media Manager). Edited by ALAN THATCHER.